The sky over London is on fire! Year 4 began our history topic this term by looking at London during the Blitz. 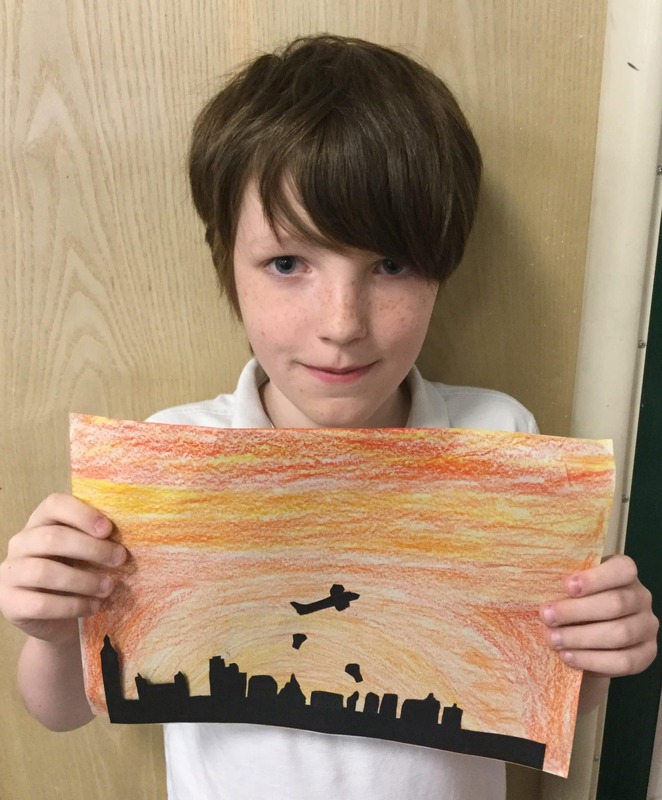 We used oil pastels to create the background and chose to use fiery colours to depict the mood of a bombing raid. 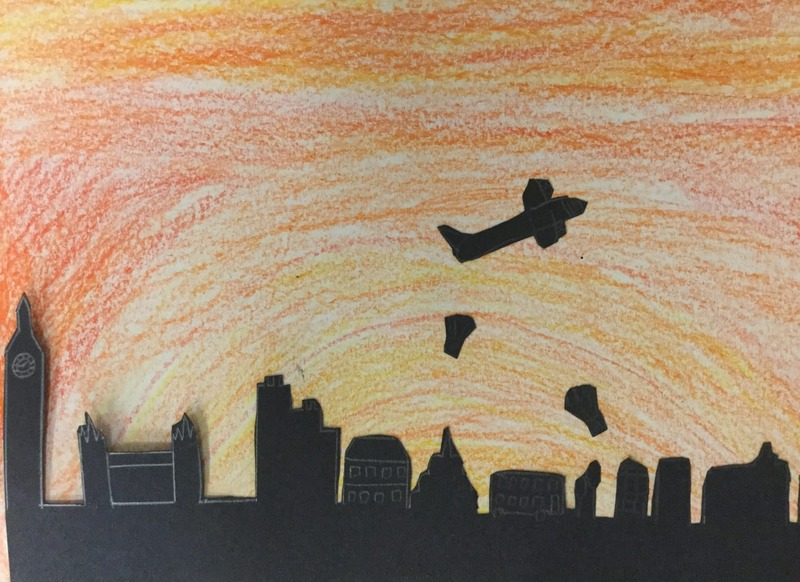 We then used black card to create the London skyline and planes to produce an air raid bombing scene. Jamie clearly enjoys art which is a joy to see. He is beginning to develop his own style using tonal contrast and mixed media. He worked especially hard to develop his awareness of composition and enjoyed exploring how colour can create mood through colour mixing and blending. What a stunning silhouette picture Jamie, well done!